A new study examines the link between domestic violence and animal abuse by gathering data from public online forums where stories are shared. The link between domestic violence and animal abuse has been well established. However, many studies on this topic have been limited in scope due to both reluctance of domestic violence victims to share detailed information with researchers and small sample sizes of studies conducted in specific regions. This paper, published in Aggression and Violent Behavior, sought to overcome these potential limitations by using a novel source of information: online discussion forums where victims from throughout the world can voluntarily share their experiences. The Victim-Companion Animal Bond: In many cases, it appears that companion animals provide qualities that perpetrators of violence lack, namely safety and security, for victims of abuse and children. Due to strong bonds between victims and pets, victims often postpone leaving a violent situation out of fear of what could happen to their pets. Companion Animals Used to Control Victims: Abusers often use threats of violence to pets to control victims. Sub-themes include common abuse tactics of isolating victims so that they feel as though they could not rely on others to care for their pets, exerting financial control by withholding veterinary care, and threatening to harm, or actually harming animals as a means of preventing victims from leaving or coercing them to return. The authors note that the study sheds light on the different patterns used by abusers to harm or threaten to harm animals. For example, some abusers commit one very serious act while others gradually commit a series of acts that escalate in severity. Victims’ Perceptions of Abusers’ Behavior: Throughout the stories, victims relayed several common beliefs about why abusers harm companion animals, including as a means of discipline, due to jealousy over the strong bond between victim and animals, due to problems in the abuser’s childhood, and due to excessive alcohol use. Support for Victims and Companion Animals: Victims frequently noted that they did not believe police took claims of companion animal abuse seriously, and the author cites a recent police inspection report in the UK that supports such claims. Additionally, victims stated that there was a lack of services for victims who have pets and many said that they would not seek shelter if they had to leave their pets behind. All of the identified themes provide valuable information, as well as a stepping off point for further research into the link between domestic violence and animal abuse. The author also makes several recommendations that may be of interest to advocates. She suggests that both the police and policymakers work with animal welfare organizations to increase public awareness of the link between domestic violence and animal abuse and encourage domestic victims to come forward to report animal abuse. Moreover, to provide training for domestic violence workers to recognize animal abuse and provide joint resources to help get both human and animal victims of abuse to safety. Newberry, M. (2016). 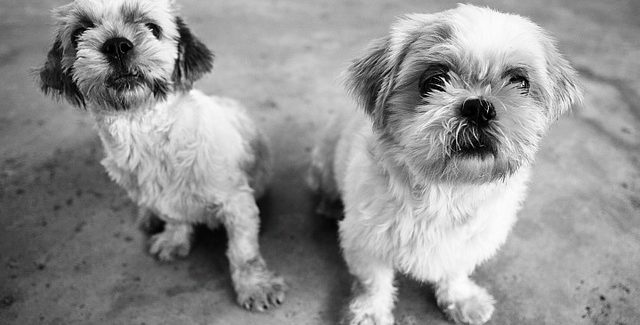 Pets In Danger: Exploring The Link Between Domestic Violence And Animal Abuse. Aggression and Violent Behavior, In Press.